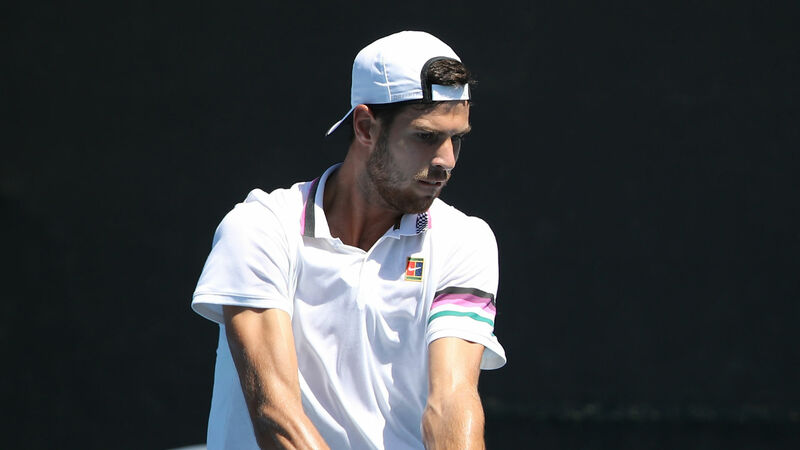 Tallon Griekspoor claimed the biggest win of his career to delight his home crowd at the Rotterdam Open, beating second seed Karen Khachanov in three sets. World number 211 Griekspoor fought from a set down to overcome Khachanov - ranked 200 places above him - 3-6 6-3 6-2 in an enthralling encounter in the Netherlands on Tuesday. The Russian looked sure to be heading towards a routine win by breaking Griekspoor on his opening service game and seeing out the first set without facing a break point. Griekspoor overcame Stan Wawrinka in the opening round in Rotterdam last year and he went a break up at the first opportunity in the second before saving a break point in game seven to force a decider. The Dutchman raced into a 4-0 lead in the third and, although Khachanov staved off two match points to hold serve in game seven, the 22-year-old was not to be denied another famous victory on home soil. Top seed Kei Nishikori avoided an upset against Pierre-Hugues Herbert, rallying from a set down to triumph 3-6 6-1 6-4. Ernests Gulbis awaits the Japanese in round two following a 6-4 6-2 victory over fellow lucky loser Marius Copil. Milos Raonic saved a set point in a first-set tie-break before sealing a 7-6 (10-8) 7-5 victory over Philipp Kohlschreiber to set up a second-round meeting with Wawrinka, who he beat in round two at the Australian Open in January. Eighth seed David Goffin failed to serve out the first set and let a 4-1 lead in the second slip as he succumbed to a 7-6 (7-5) 7-5 loss to Gael Monfils. Tomas Berdych, champion in 2014, beat Gilles Simon in straight sets, while Fernando Verdasco and Denis Shapovalov also advanced to the second round.